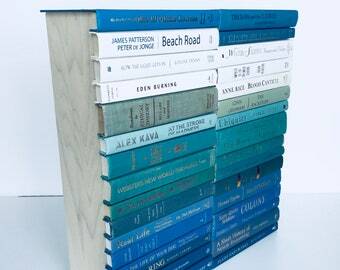 Announcement Covogoods offers decorative books by color, hidden storage book boxes, secret door books, cut book spines, faux book panels, electronics hiders, painted books, vintage books, and other custom book products to discerning clients. Maker of Covobox - the original book box. We are on a mission to save books from landfills. We find books that are literally headed for destruction and rescue them to make beautiful home decor and practical storage products. As part of production, we often trim books to create something new that preserves the look, smell, and memories of each book. We believe this is a great way to prolong the enjoyment of books that have been discarded. 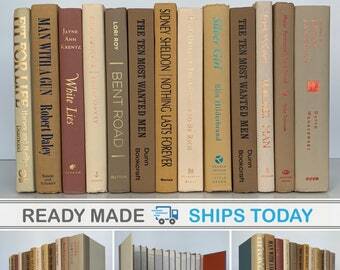 We also sell thousands of unaltered books to book lovers everywhere. Our most popular products are easy to find in our "Most Popular" shop section. 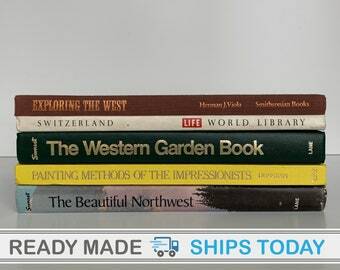 Look for a ‘Ready Made, Ships Today’ banner on products ready to ship today! These are what-you-see-is-what-you’ll-get items that we already made. All other items show product models meaning that exact item already sold but we will create a similar look with different books (we send photos for your approval before we ship). And as always, you can request a completely custom product using any product/photo you see in our shop as your starting point. Most importantly, all of products ship out wicked fast. Even completely custom products. - We love building custom projects for our clients. Don't see what you want? Convo us with your particular needs. - Need custom colors? We can arrange any set of colors you want. We also paint books! Choose from complete sets of painted books, or mix in a few custom painted books to complement the colors of an unpainted set. 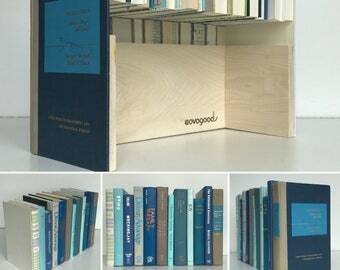 - Just need a bundle of regular books to fill a space? Tell us your desired quantity (or the size of the space you want to fill) and any desired book specs (height, depth, width, genres, titles, colors, age, etc) and we will share photos of options to choose from. - We have especially high standards and we pursue all our projects with zeal. If things don't work out the way you hope, we'll keep trying until you are thrilled, or provide a refund. - We are constantly trendsetting with new innovations. Watch for new products and ideas in the coming months. 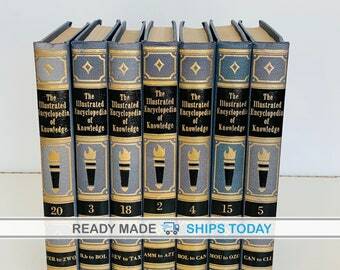 Covogoods offers decorative books by color, hidden storage book boxes, secret door books, cut book spines, faux book panels, electronics hiders, painted books, vintage books, and other custom book products to discerning clients. 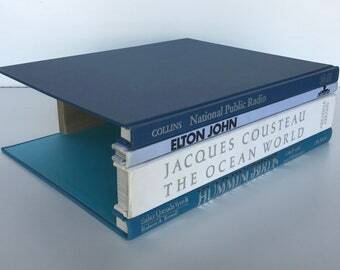 Maker of Covobox - the original book box. 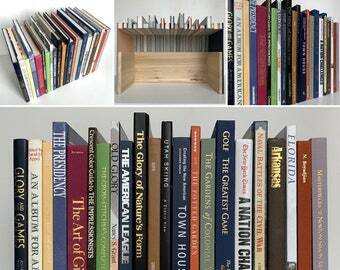 Secret Book Panel - Hidden Storage for your Bookshelf with Pop-Open Access, Made with Real Books, Hide Anything! Excellent idea and great quality. 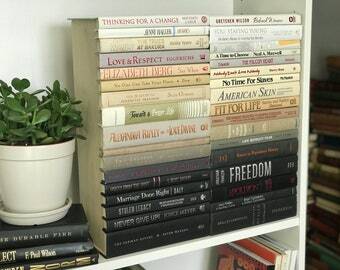 I really love this, it's hiding some tattered old books. I'm going to get another one for the top shelf. I gave them my colors, they chose books that nicely complement my decor. Covogoods was born from the creative idea of our founder Camille, who wanted to decorate a room with bright and colorful pieces that would add texture and interest to the space, provide additional storage and organization, and hide ugly things like electronics and cords. 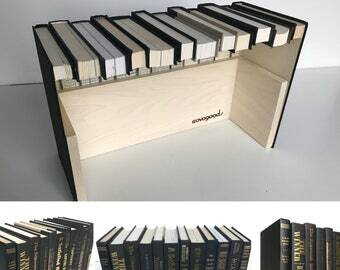 She began by inventing a simple book box using real up-cycled books cut near the binding and adhered to conceal an attached wooden box. The result— a brilliant, hidden storage box that looked like a set of normal books— and the start of a new blend of distinctive decor. 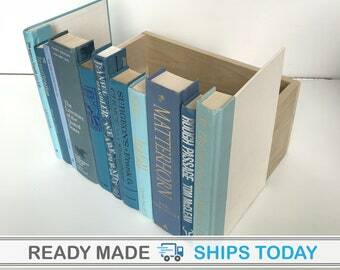 Requests for custom projects followed quickly and she began making book boxes for others. 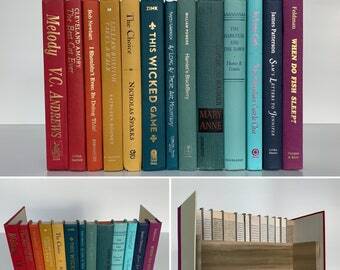 Covogoods now offers decorative books by color, hidden storage book boxes, secret door books, cut book spines, faux book panels, router and cable box electronics hiders, painted books, vintage books, and other custom book products to discerning clients. 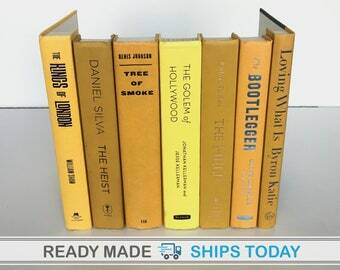 Maker of Covobox - the original book box. Covogoods handles returns on a case-by-case basis with the ultimate objective of making our clients happy. When a return is necessary, and no seller mistakes were made, client will please pay for return shipping. All items are shipped via trackable delivery service. All products shipped are provided FOB Salt Lake City, Prepaid. Upgraded shipping is available separately upon request. Custom orders are available and encouraged. Send a request by conversation.